Swinburne University will attempt to debunk the secret of the Universe with the launch of one of the most powerful computers in the country. 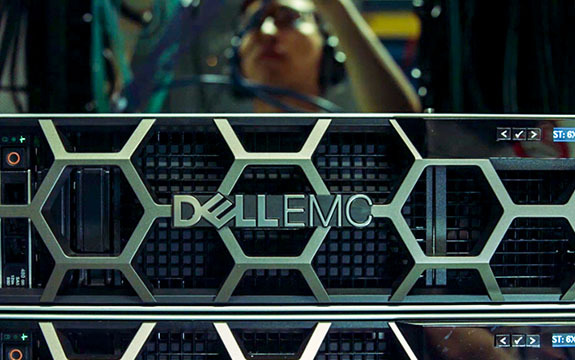 Based at Swinburne’s Hawthorn campus, the new $4 million supercomputer is powered by Dell EMC and features a performance peak of 1.2 petaflops. Dubbed OzSTAR, it also features custom artwork designed by Swinburne graduate Justin Pedler and visual arts agency Apparition Media. OzGrav Director, Professor Matthew Bailes, said the supercomputer will enable the Swinburne-based Australian Research Council Centre of Excellence for Gravitational Wave Discovery’s (OzGrav) to search for gravitational waves and study the extreme physics of black holes and warped space-time. According to him, OzSTAR will be used to shift through reams of data and be powerful enough to search for coalescing black holes and neutron stars in real time. “In one second, OzSTAR can perform 10,000 calculations for every one of the 100 billion starts in our galaxy,” Professor Bailes remarked, adding that OzSTAR will also be key in enabling Swinburne’s Data Science Research Institute to tackle future data science challenges such as machine learning, deep learning, database interrogation and visualisation. According to Swinburne’s press release, the supercomputer features 4140 SkyLake cores at 2.3Ghz across 107 standard compute and eight data crunching nodes, 230 NVIDIA Tesla P100 12 GB GPUs, 272 Intel Xeon Phi cores at 1.6Ghz across four C6320pKNL nodes, a high speed low latency network fabric able to move data across each building block at over 100Gbps with various features to ensure reliability and traffic flow and 5 petabyte of usable storage via the Lustre ZFS file system at 30GB/s throughput.